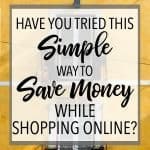 It’s easy to save money shopping online! 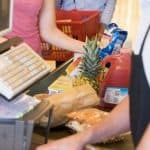 You can avoid crowds, save time, and save money with these tools, tips, and tricks! Once upon a time, I actually loved shopping in-person at my favorite stores and malls. It was so fun to just be able to leisurely wander around, taking it all in. I’d peruse the sale racks, proud of the great deals I could find. Shopping like this was something I found enjoyable, almost like a hobby. But let me tell you, those days are gone. As I’ve gotten older, I simply don’t have as much time to go shopping. I have more responsibilities now, and free time is like gold. I like to fill my time with things that I really enjoy, and shopping in-person just typically isn’t one of those things. Not only that, but I’ve grown more conscious of how much money I spend. Sure, I used to get good deals all the time, but most of those things weren’t things I really needed. I was purely shopping for the fun of it. Once we started getting serious about paying off our debt, we knew we had to cut back on unnecessary expenses. That was just one of the things we did to pay off over $130,000 of debt. Going shopping was no longer a form of entertainment for me. I’ve also found that going shopping in a big store or mall can feel overwhelming to me. Countless racks and aisles give me decision fatigue, and I don’t even know where to start. The other factor at play here is that I’m a mom now. Have you ever tried to cram three small kids and a stroller into a fitting room while you attempt to try on clothes? Yeah, not my idea of a good time. Despite all of these changes over the years, I do still need to shop for things. I’ve just found a much more enjoyable way to do it–by shopping online! No more crowds, and no more running from store to store. And the best part? I still can enjoy great deals! 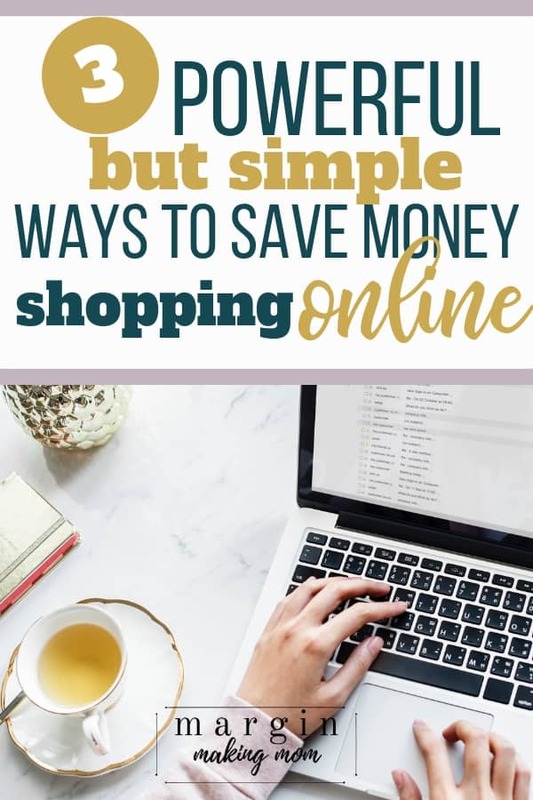 There are several ways to save money online! 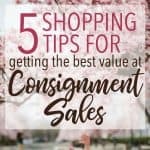 I’m going to share some of my favorite tips and tricks that will help you shop and save with ease. These are all tools that I have personally used and found really valuable, and I’m excited to share my purchase process with you! 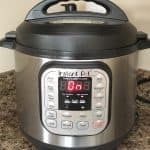 At the bottom of this article, you’ll find a video that walks you through the exact process of using these techniques to maximize savings! First, you want to be using a cash back site whenever possible. One of the best cash back sites available is Ebates. I’ve earned hundreds of dollars in cashback from them over the years! 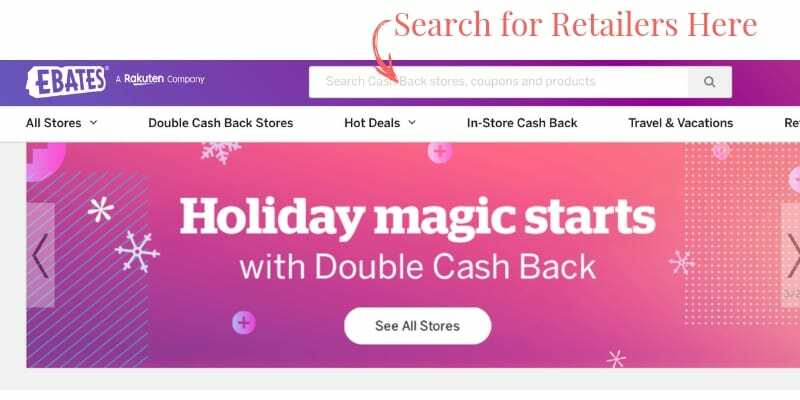 If you aren’t familiar with it, Ebates is a free cashback site (or cashback app on your mobile device) that pays you back a percentage of your purchase price with select retailers. To use Ebates, start at their website (or app) and search for the retailer where you’re planning to make a purchase (they also have a browser extension you can install, and they will remind you to activate the cashback process when you are on a participating retailer’s website). Click through to the retailer’s site and shop as normal. Then, when you checkout, Ebates tracks that purchase, Usually within a few days, they will credit your Ebates account with the cashback percentage you earned. Once a quarter, Ebates will send you a check for the amount you’ve accumulated. Cha-ching! If you don’t already have an Ebates account, new accounts are eligible for a $10 bonus when you sign up here. You can also learn more about how I use Ebates to save money online. There are several ways to go about finding coupons and promo codes for online retailers. 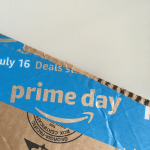 Websites like RetailMeNot and Brad’s Deals allow you to search their site and find codes that might possibly work on your purchases. But I’ve found the hands-down, most convenient option to be Honey. 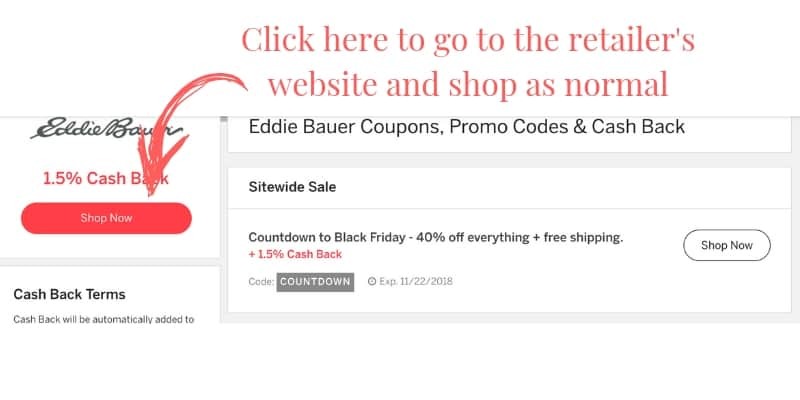 Honey is a website where you can search for coupon codes for specific retailers, much like RetailMeNot and other sites. However, where Honey really stands out is with its super convenient browser extension. 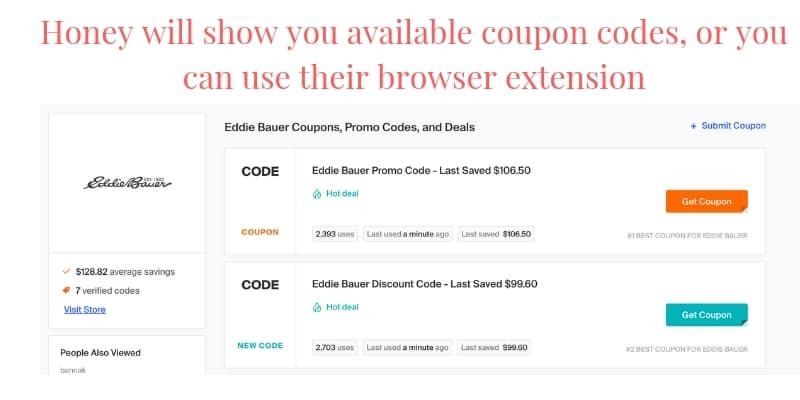 If you download the browser extension, it searches for promo codes while you shop! You don’t have to remember to go look for a code! Note: RetailMeNot does have a browser extension as well, but I have not found it to be as robust as Honey’s. RetailMeNot usually finds fewer codes than Honey’s, so I have the best luck with Honey. When you are ready to checkout, Honey will open a small box that tells you if it has found any coupon codes that might work on your purchase. If so, Honey will actually run each and every promo code for you, weeding out the ones that don’t work and selecting the one that gives you the biggest discount on your purchase. How AWESOME is that? It literally does all the work for you. No more searching for codes, copying and pasting, trying to find one that works. It really is SO simple. Honey also has a feature that allows you to create what’s called a Droplist. Basically, if you are shopping on Amazon (or other specific retailers) and see an item you’re interested in, you can add it to your Droplist. Honey will then notify you if the price drops on that item. Win! If you don’t already have a free Honey account, sign up for one here. After you sign up, I highly recommend installing the browser extension for ultimate convenience. To increase your savings even more, consider buying discounted gift cards to use for your purchase. I have used Gift Card Granny for this purpose with great success! I simply search for the retailer that I’m interested in, look at the discounted gift card options currently available, and purchase one if it makes sense. For instance, suppose you are planning to make a purchase at a particular retailer in the amount of $150. You could go to Gift Card Granny and search for that retailer, and a list of applicable results will come up, like this. Some of these options are plastic gift cards that would need to be mailed to you. This is a fine option if you aren’t in a hurry. But if you need the card sooner, for an upcoming online purchase, you will likely want to stick with the electronic gift card options. Those will be emailed to you, typically within one business day. 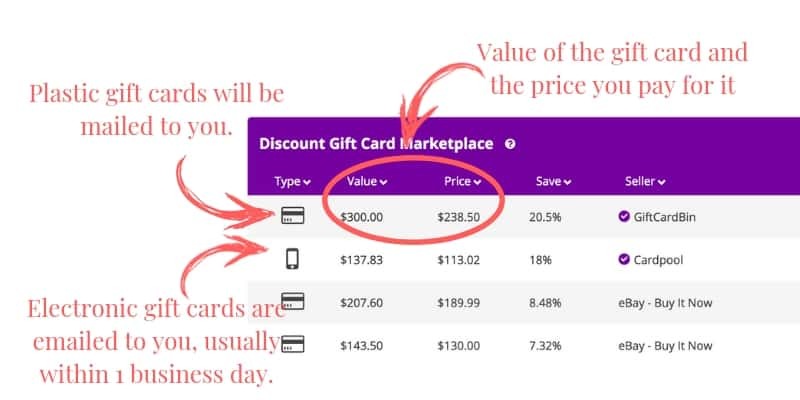 In our example of the $150 purchase, you could select the electronic gift card with the value of of $137.83, yet you’ll only pay $113.02. That saves you almost $25 off your overall out-of-pocket expense, which is great! I have also used Gift Card Granny to purchase gift cards for others. For Christmas last year, I bought two Build-A-Bear electronic gift cards for my nieces at a savings of about 27% on each card! You can go here to sign up for a free account at Gift Card Granny and find some discounted gift cards! These simple tools can be used to maximize your savings on your online purchases! To show you just how easy it is, I’ve created a simple video where I walk through the process of shopping online with these techniques. As you’ll see in the video example below, these tools can provide a significant savings! 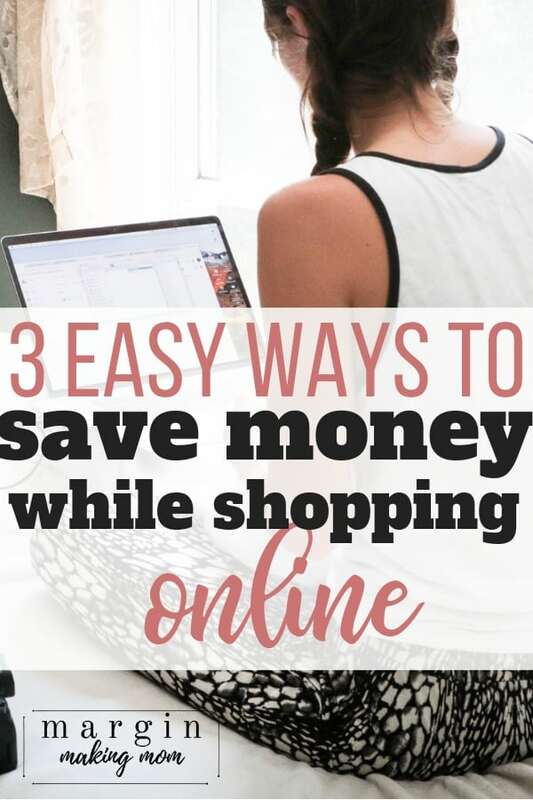 Watch the video below to see just how easy it is to save money shopping online! If you try any of these tools, I’d love to know how they work for you! Tag me on Instagram (@marginmakingmom) or use hashtag #marginmakingmom so I can see your savings!